I’ve tried a lot of different cookie recipes over the years. We have cookies for dinner every Sunday night; big lunch right after church, cookies for dinner. Over the years, we’ve definitely found our favorite recipes. Glazed Lemon Cookies, Molasses Sugar Cookies, Pumpkin Oatmeal Cookies, Chewy Oatmeal Cookies. (Don’t worry. I’m slowly transferring recipes from my previous blog. I’ll get them all up soon!) But without a doubt, the cookie we eat more than any other is the classic Chocolate Chip Cookie. Which is why I’ve been working for so many years to find a recipe that embodies everything I want my chocolate chip cookie to be. I’ve found several that have come very, very close, but they weren’t quite there. So I got creative and morphed several of my favorite recipes into one perfectly wonderful recipe. What I love the most about this recipe is you can tweak it in different ways to change up your flavor. Leave out one ingredient, add another. (I mean, not any ingredient. Don’t leave out the baking soda. Or the butter.) I’ll give you some examples of how I change it up after I share the recipe. Because life is better with cookies. Amen, and amen. Cream butter (softened, not melted! Room temperature is fine, or microwave on 30% power for 15 second intervals until it feels nicely squishy, but NOT melted) and sugar in a large bowl until well combined. Add brown sugar, eggs, vanilla and pudding mix, blending after each addition. Add the peanut butter and Nutella. Lick off the spoon after each addition. You’re the one in the kitchen. You deserve it. Mix together your dry ingredients–flour, baking soda and salt–and add to the dough. Add walnuts and chocolate chips. Then taste it and die a little. Bake in a 375 degree, preheated oven for 8-9 minutes. For all that is good and chewy, don’t over bake your cookies. If you like them crispy, please do over bake your cookies, but if you want wonderfully soft and chewy cookies that are soft and chewy even when they’ve completely cooled and sat on the counter for an hour? It all comes down to baking time. Watch your cookies closely when they are nearly done. A finished cookie will just barely show hints of brown around the bottom edge. The tops might still look a little wobbly, but that’s okay. Leave them sitting on the cookie sheet for a few minutes before you transfer them over to a cooling rack. They should firm up enough for you to transfer them over without breaking. If that doesn’t happen, bake your next batch a hair longer. If you have a silpat baking mat, use it. If you don’t, ask for one for your birthday. Silpats make good cookies. The end. Okay, not really the end. The almost powdered walnuts lend these cookies an intense flavor, without the huge chunks of nuts that scare my kids away. They tell me they don’t like nuts in their cookies, but they eat these cookies anyway. (Kinda like how I put grated squash and zucchini in my spaghetti sauce. They have no idea how many vegetables they are actually eating.) If you don’t like Walnuts, leave em out. They’re still great cookies. In fact, you can leave out the peanut butter, or the Nutella, or both, and it’s still a good cookie. You can swap the brown sugar for white sugar, add cranberries, coconut and white chocolate chips, and you’ve got a different, but still wonderful cookie. You can add Reese’s Pieces, and crushed peanuts. So many options. In it’s original form, with the peanut butter, Nutella, and Walnuts, this cookie is rich and bold and nutty and it makes me happy. I hope it makes you happy too! 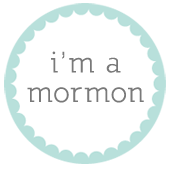 It’s 2014, and I’m . . . Here? I think? 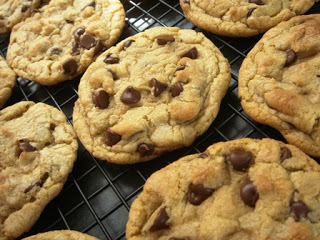 Don’t we all love some chocolate chip cookies fresh out of the oven!